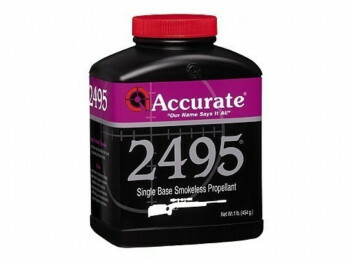 Accurate 2495 is a single-base, extruded rifle powder that was developed for the 308 Win and can be used over a wide range of rifle calibers. It is a very popular powder for 308 Win. NRA High Power shooting disciplines, as well as heavy bullet 223 Rem target applications. 2495 is a versatile powder with excellent ignition characteristics that provides excellent shot-to-shot consistency. Made in Canada.